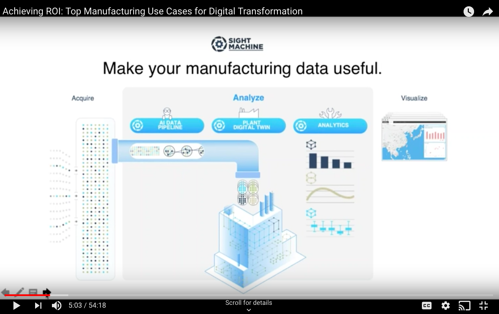 LNS Research and Sight Machine share real-world ROI use cases in digital transformation and outline a path to success. For many manufacturers, the value of IIoT is clear: drive more productivity and quality from plants. Jon Sobel, co-founder and CEO of Sight Machine, and his guest speaker Andrew Hughes, Principal Analyst of LNS Research, share real-world ROI use cases in digital transformation that not only outline a path to success, but also shed light on additional benefits that might otherwise go unnoticed.